Marriage licenses originated in England in the 1500s and were originally a shortcut that simplified the marriage formality, as well as a revenue source for the church. 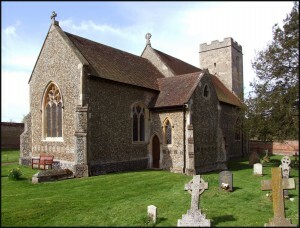 Rather than arranging to have banns read (marriages announced) in one or more parishes for three weeks prior to the wedding, a couple went to church officers and paid for a license to be issued. The license required a statement that the couple knew of no reason why their wedding should not take place. As security that their statements were true, the couple was required to post a bond that would be forfeit if their statements were false. Signatures of bond guarantors were required. Eodem die et anno, on the same day and year aforesaid; reference is to the previous document which was dated January 29, (XXIX die mensis Januarii), 1609. 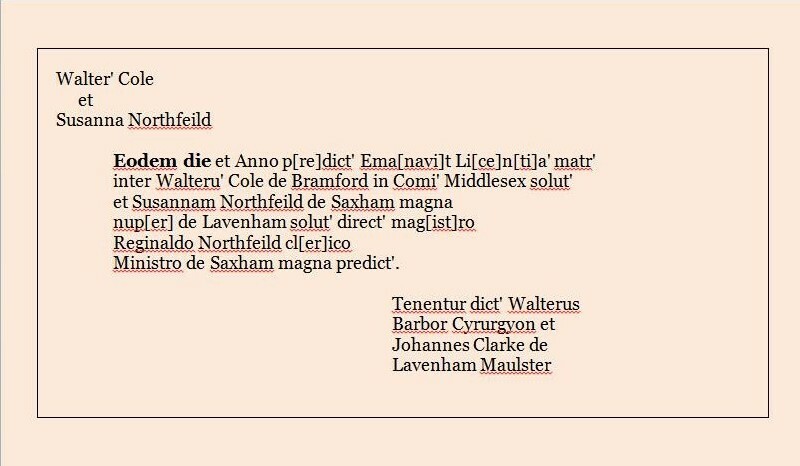 Northfield, the original Marriage License spells the name ‘Northfeild’ in three places – see below ‘Rectors of Great Saxham Parish’ for spelling. 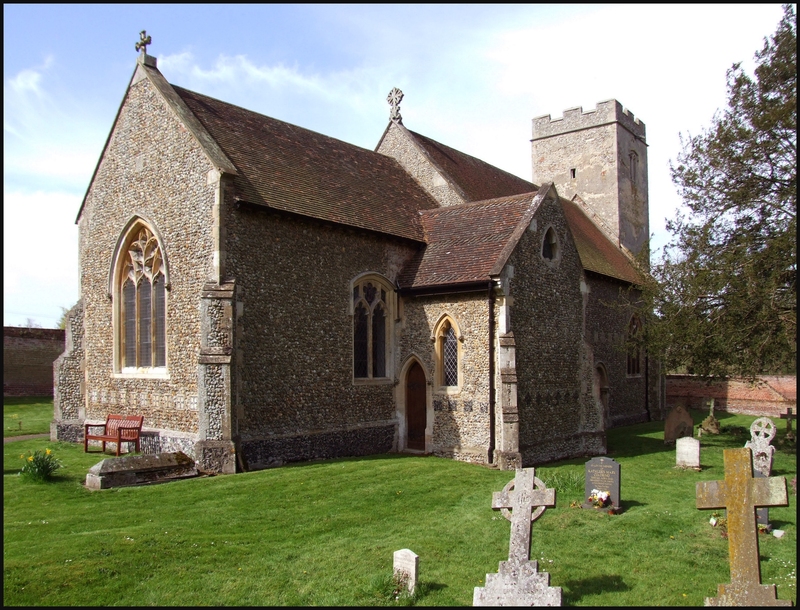 Bramford, is a town Suffolk County; there is no Bramford in County Middlesex, England. Perhaps the author meant Brentford in Middlesex. Unfortunately the early Brentford Baptisms have not survived. 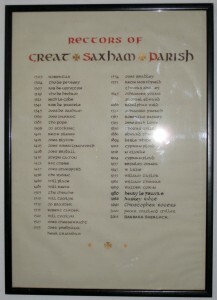 Great Saxham is a village near Bury St. Edmunds, Suffolk, England. Lavenham is a town south of Bury St. Edmunds, Suffolk, England. Barbor Cyrurgyon, (Barber Chirurgeon) or Barber Surgeon was a profession and the most common medical practitioners of Medieval Europe at the time. Surgery was normally conducted by barbers. Maulster, is the occupation of Maltster today. Were Bound, Bond Guarantors were required on Marriage Licenses of the day, as seen in the description of Marriage Licenses above. It is interesting to note that the occupations of the Bondsmen were written in English in the Original Document. Therefore, the translation has left them as written, but in italics. 1. William White, History, Gazetteer and Directory of Suffolk, a General Survey of the County. Leader and Sons, Printers, 18 and 20 Bank Street, Sheffield, England, Third Addition, December 1874, page 619. 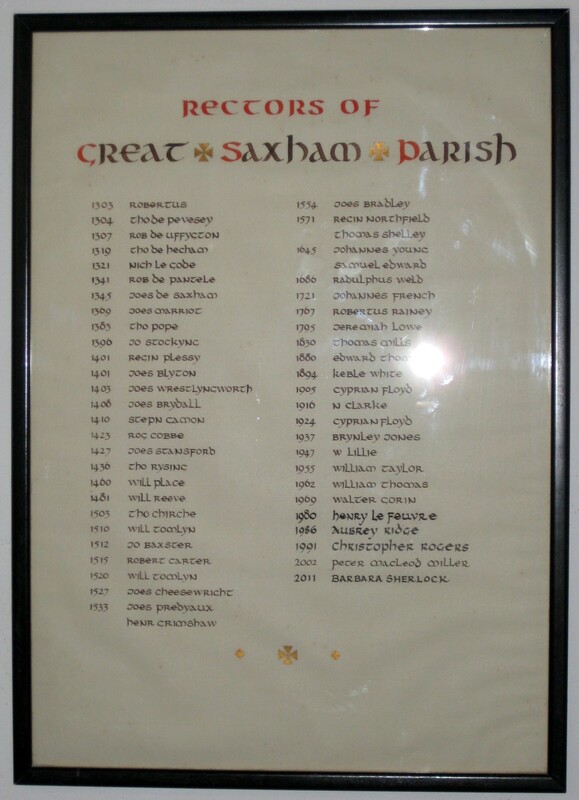 This framed listing of Rectors hangs on the wall in the Great Saxham Church and shows that Regin[ald] Northfield was the Rector in this church between 1571 and 1645. 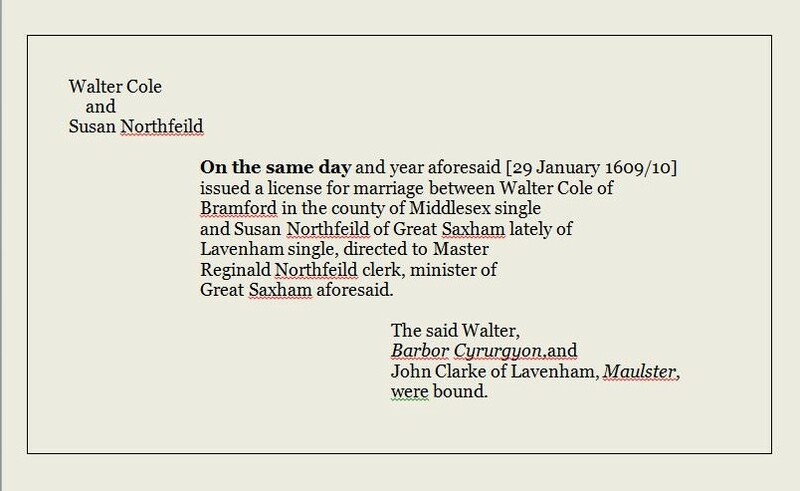 His name is on the marriage license of 1609 as clerk and minister issuing the license, therefore we can assume that he married Susanna Northfield (may be a relative) and Walter Cole. 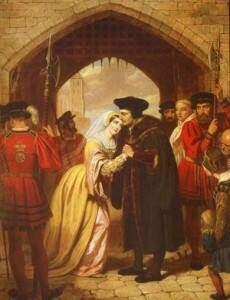 We wonder if it was the Rector himself who made the marriage entry of 30 January 1609.